It looked like the Houston Rockets were going to catch a break tonight. They've had a troubling start to their NBA season and were in the lead late in the fourth quarter against Dallas, but Mavs phenom Luka Doncic had other plans. He went on an absolute tear in the final minutes of the game, scoring 11 straight points and sealing the game for the home team. Doncic's showing was impressive as he converted on multiple difficult shots, none better than his concluding step-back triple. This loss really hurts the Rockets, who need to get things going back in their favor before the season gets away from them. 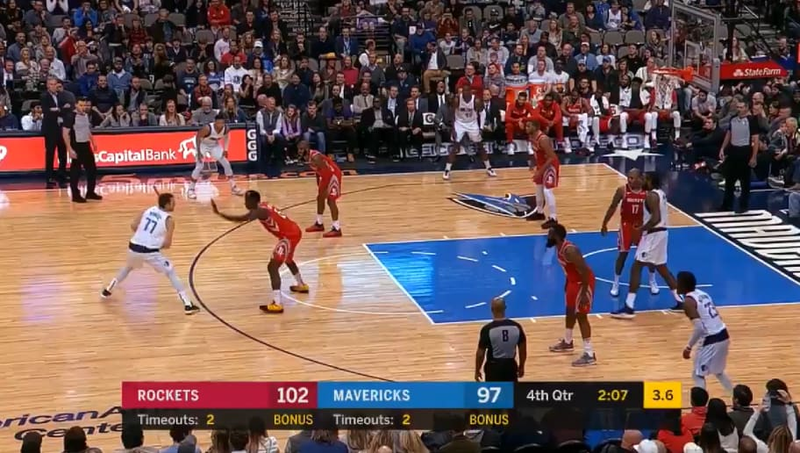 But the Mavericks had what it took to win tonight-- and they may also have the best rookie in the league by a truly convincing margin. Luka said he felt that he was not playing well and wanted to turn things around. He did a good job of making a statement in the final minutes of the game, earning his team a big win and adding another string of highlights to his already-formidable reel.